Today my travels took my into the western East End and I was in need of breakfast. When I saw the sign, I knew this had to be tried. Who knows, the owner might be a famous science – fiction writer or an astrophysicist (or a Zoroastrianist). 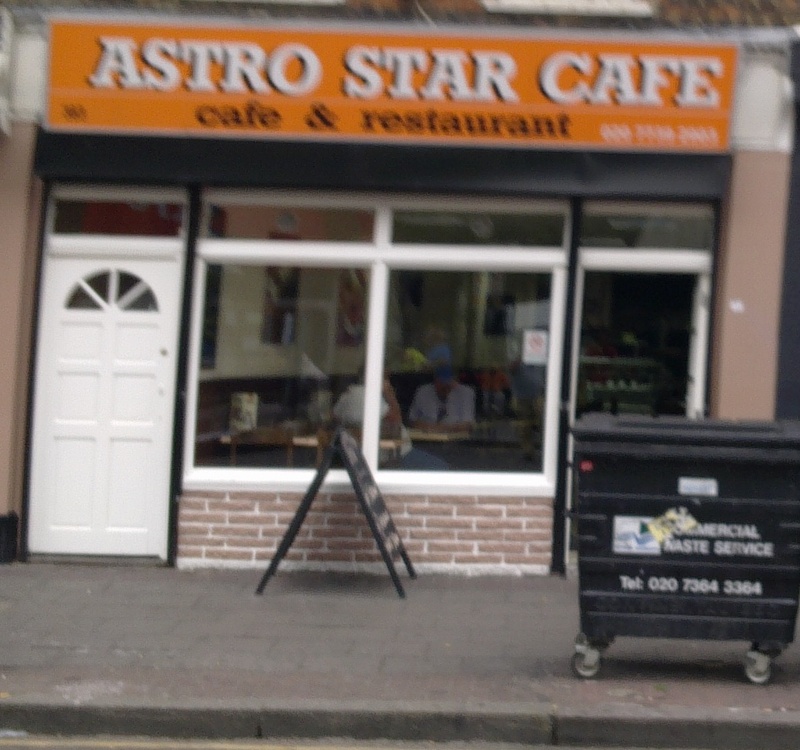 The amazingly and appropriately named Astro Star Cafe is situated in the middle of hip and happening Bethnal Green in the almost East End of London (also colloquially known as the centre of the known universe). As you can see, the Cafe is rather blurry and has a distinctive right shift. A physical phenomenon directly attributable to its name. 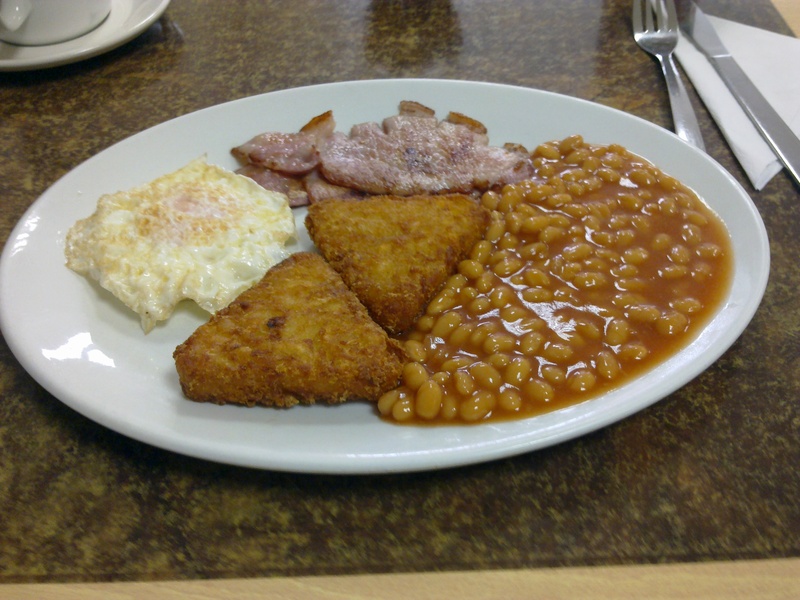 Look at the extact geometrical placement of the hashbrowns (it was a bit too early for chips) and the geometrically correct semicircle of this sea of beans. The egg looked like a fiery sun with a golden corona, just about to be attacked by the threatening crispy bacon. And delicious it was as well. The cafe was clean, the swearing factor of the punters moderate (about 3 f-words per minute on average) and service efficient and courteous. I think I might use this as a permanent deep space docking station.